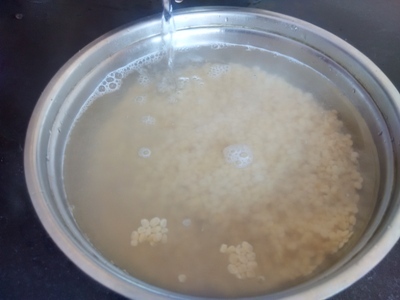 How to make Dahi Bhalle/Dahi Vada. Hi foodies! 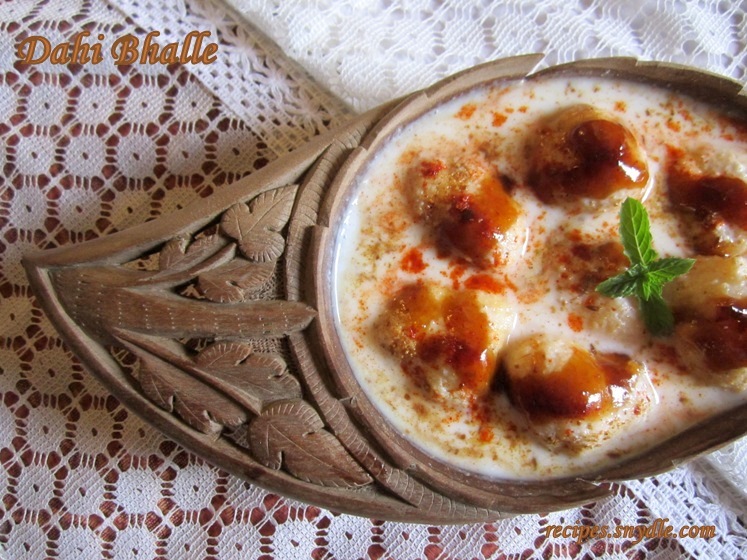 Here is homemade dahi vada/dahi bhalle recipe for you. 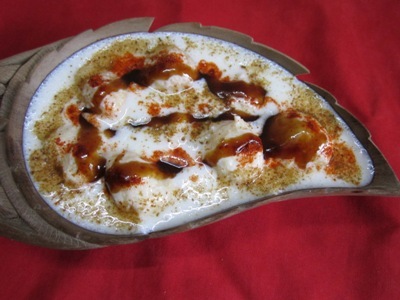 Dahi bhallas are dumplings made of deep fried urad dal served with chilled yogurt and tamarind chutney. 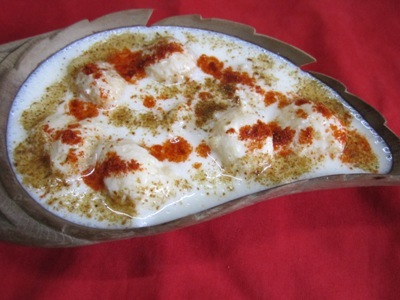 It is a popular street food and appetizer. 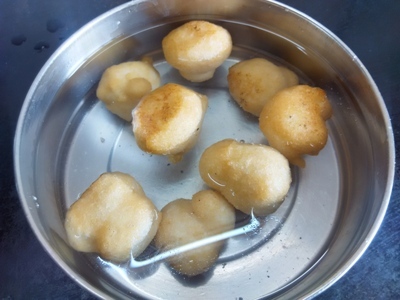 Dahi vadas needs preparation to be done before hand like tamarind chutney. Here I have added tamarind chutney but you can also add green chutney. It too tastes luscious. 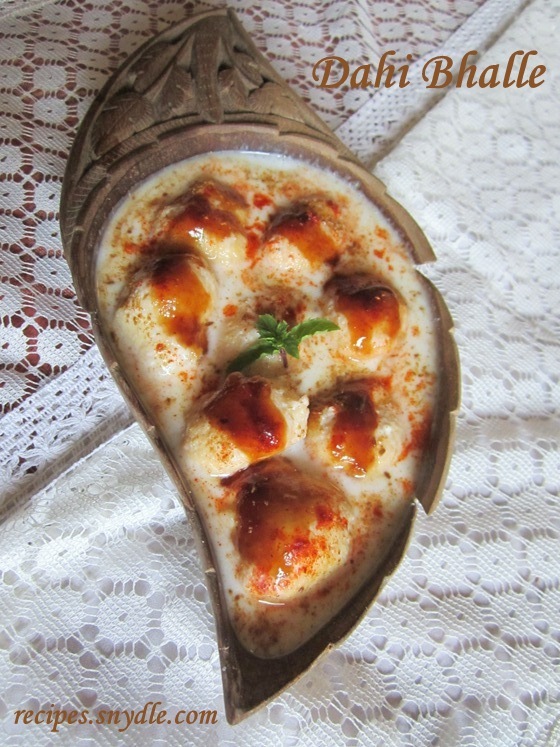 Roasted cumin powder adds to the taste of dahi bhallas. 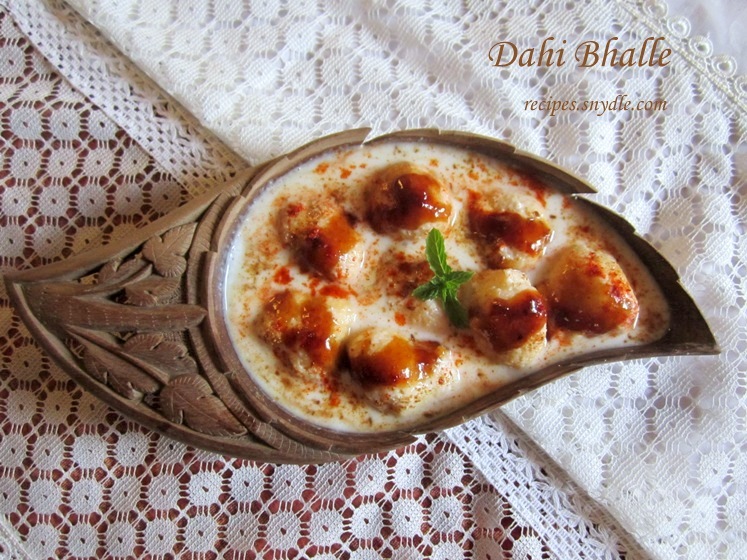 Dahi bhallas are popular north Indian dish. For spongy vadas, grind the urad dal/split black gram skinless into smooth paste and whisk the batter well for 10 minutes without rest. Pour chilled yogurt on vadas till it covers the it well. Sprinkle red chilli powder, roasted cumin powder and tamarind chutney. 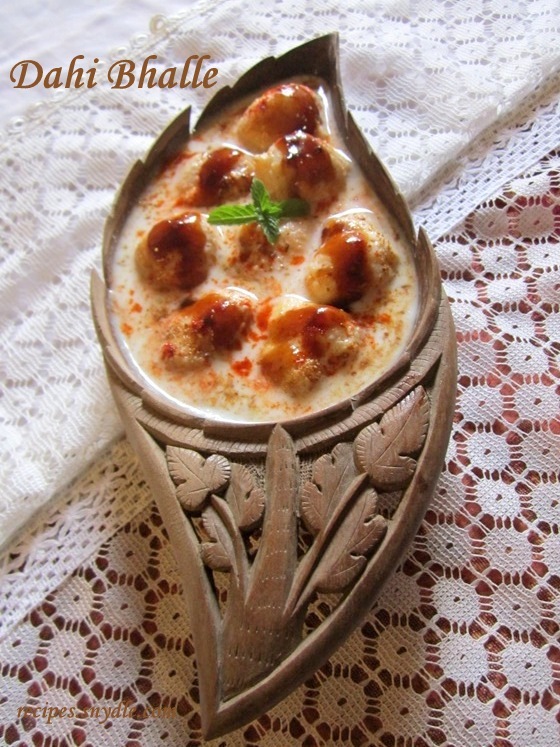 Serve chilled dahi vadas or at room temperature as you like. 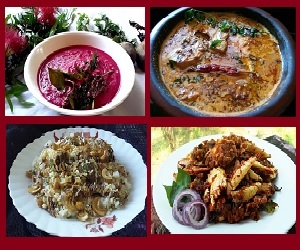 I prefer chilled dahi vadas with chole, bhature, jeera rice and rosted papad. The full plate filled with yum. I will surely share my chole bhature recipe with you sooner. 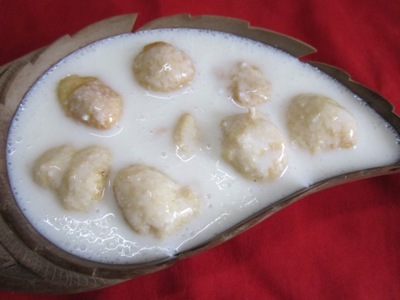 Now lets see how to prepare Dahi Bhallas. 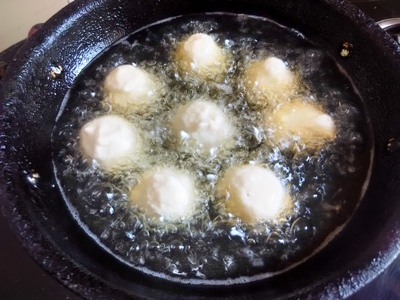 How to make Dahi Bhalle/Dahi Vadas. 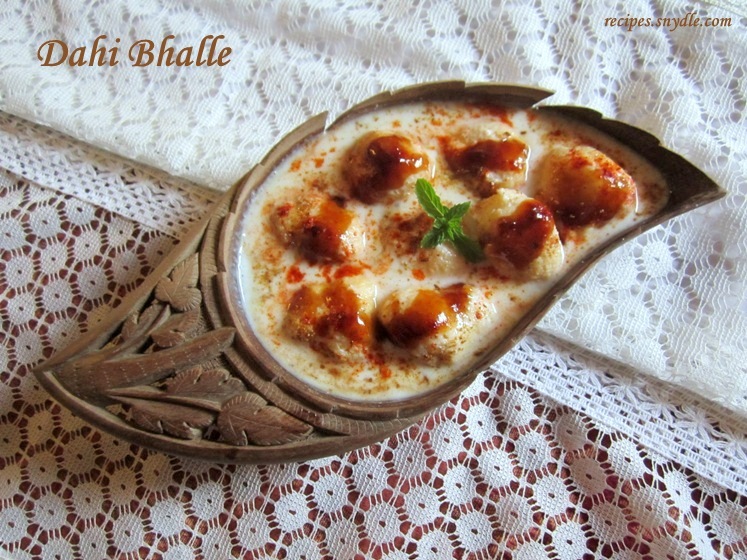 How to make Dahi Bhalle. Soak the urad dal/split black gram skinless for 1 hour in luke warm water. 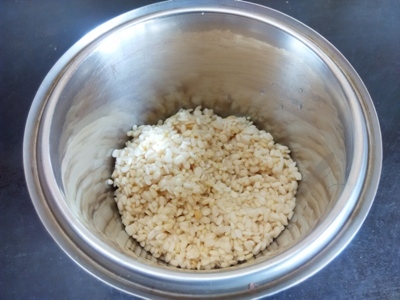 Drain the excess water for the dal and place it in the grinder. Grind the dal to a smooth paste. 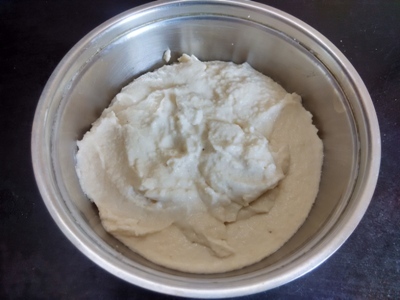 Remove the smooth paste of dal in a bowl. Add salt to it and whisk well for 10 minutes till it turn out to be light and fluffy. 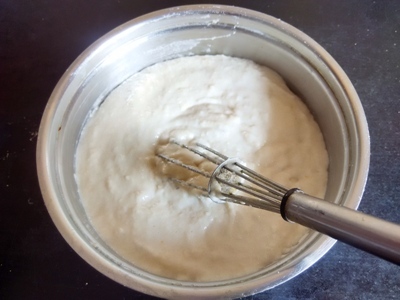 Light and fluffy batter will give you spongy bhallas/vadas. Heat oil in a skillet. Wet your palms and with the help of your hand pour small portion of batter into the medium hot oil. Now fry the bhallas/vadas till it gets golden brown. 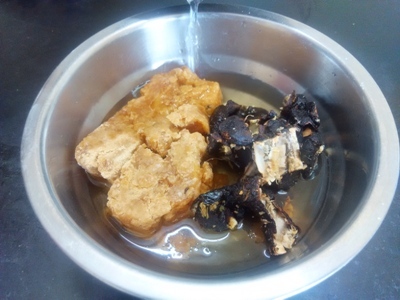 Drain the excess oil from bhallas/vadas and soak them into water. It will float at the top of water. After two minute. When the bhallas/vadas are drown down.Gently press the soaked bhallas/vadas between your palm. Press softly or you might break the bhallas/vadas. Now place all the drained bhallas/vadas into the plate. Now take chilled yogurt add milk and sugar. 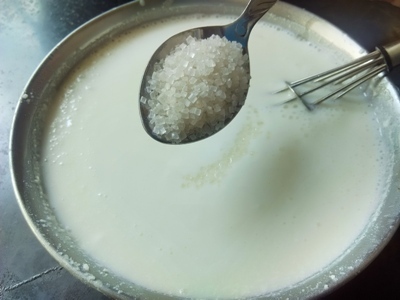 Whisk the chilled yogurt, milk and sugar mixture well till the sugar melts and there are no lumps of yogurt left. How to make Tamarind Chutney. 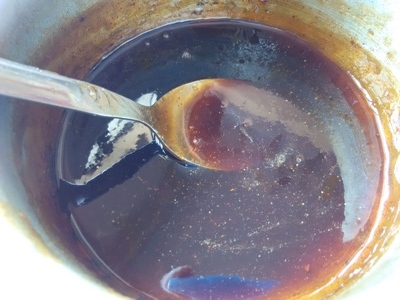 Soak tamarind and jaggery into 3/4 cup hot warm water for 30 minutes in a bowl. Squeeze the pulp from the tamarind with your hand and strain the tamarind and jaggery mixture with the help of the strainer in small cooking vessel. Heat the cooking vessel until the mixture gets boil and reduce the flame. Now add red chili powder and salt to the mixture. Stir continuously for 5 – 8 minutes. Tamarind chutney is ready and allow it to cool. Take a serving bowl. 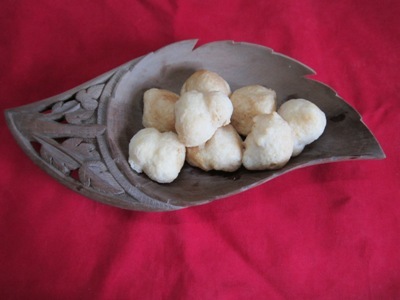 Place bhallas/vadas into the bowl. Cover the bhallas/vadas with whisked yougurt. Sprinkle red chili powder and roasted cumin powder. 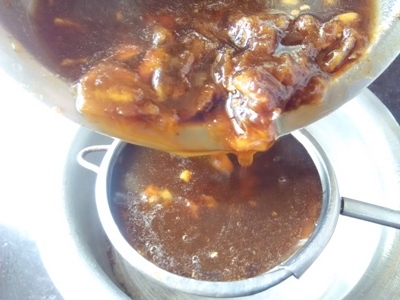 Drizzle tamarind and jaggery chutney. 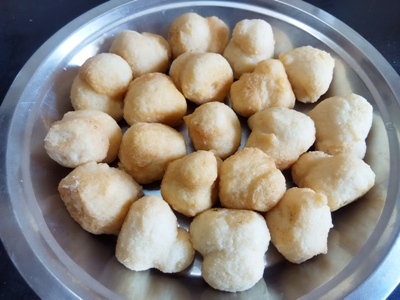 Dahi bhallas/dahi vadas are ready to serve. Serve it immediately or serve chilled. Garnish it with mint leaves. Enjoy! Next Post: Homemade Buttermilk, Butter and Clarified Butter.